Lauren is one of the sweetest, most photogenic brides we’ve ever had. She glows in every single picture! How incredible is this bouquet, made by our friends at Organic Elements? It was MASSIVE, and could really only be pulled off by our very tall bride. There are so many easier, low stress ways to pull off a first look. 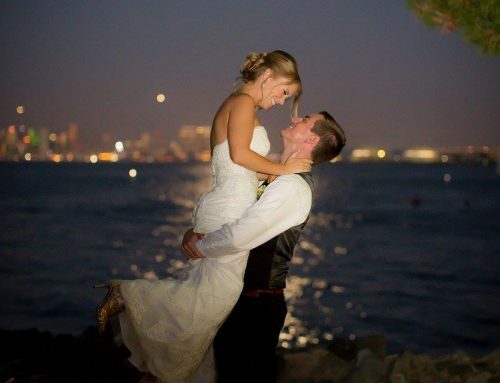 Seth and Desiree of Zelo Photography utilized our second favorite aspect in first look shots (first favorite of Scripps Seaside Forum weddings is of course the view! ), which is the wood paneling. Their ceremony was so touching and sweet. Lauren’s brother officiated, and he really did a great job. Cocktails took place on the upper terrace…near Caroline’s Cafe. We then moved inside for dinner and dancing. I always say that fall is the best time in San Diego. Look at all of the gorgeous fall colors we had that day. 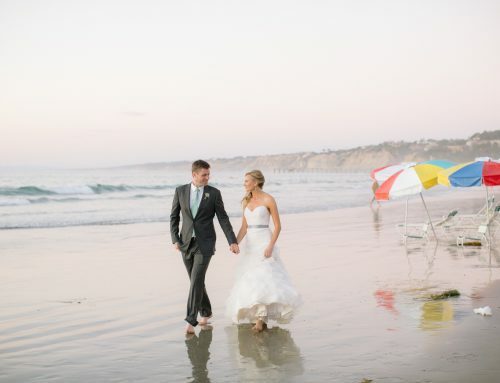 One question we always get about Scripps Seaside Forum weddings has to do with lighting and draping. Is it really necessary? Do guests really notice? In our opinion, yes! Though Lauren opted for very clean lines for rentals and decor, the draping and uplighting really rounds out the space. Lauren and Eric, thank you for the opportunity and experience of working with you! It was an incredible pleasure! Thanks for share a good information, I know other service like as and it Having been an exhibitor at bridal show for years, I wanted to create a true one stop shopping experience f of Madison Bridal Expos future brides to be Madison Bridal Shows We have done exactly that. You can spend one Sunday afternoon meeting some of the best wedding vendors in the business and know more by I was tired of the boring dry fashion show so we invite you to experience our fun entertaining professionally produced fashion show featuring the latest fashions from David’s Bridal and Men’s Wearhouse.